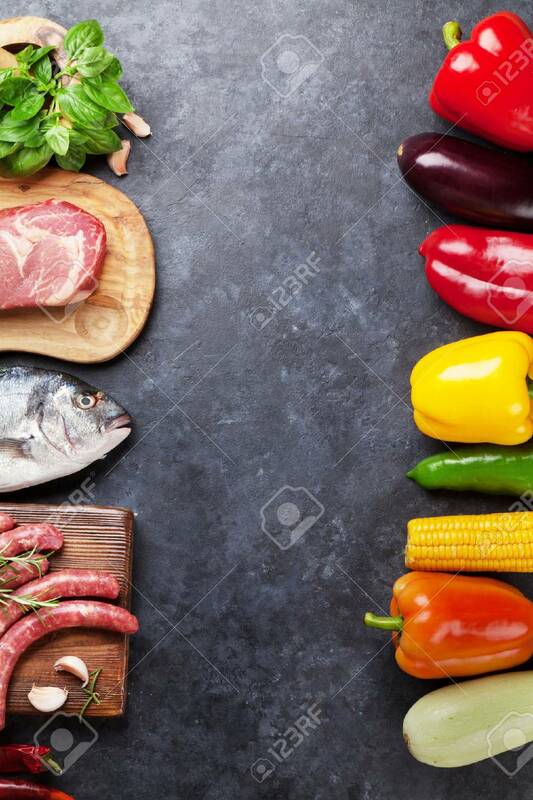 Vegetables, Fish, Meat And Ingredients Cooking. Tomatoes, Eggplants,.. Stock Photo, Picture And Royalty Free Image. Image 62201118.